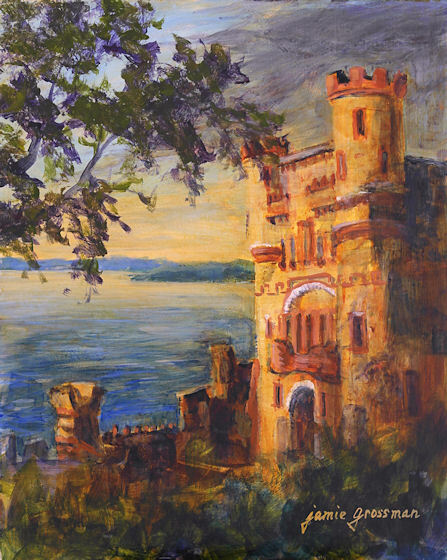 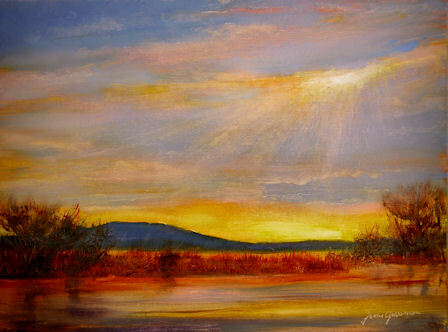 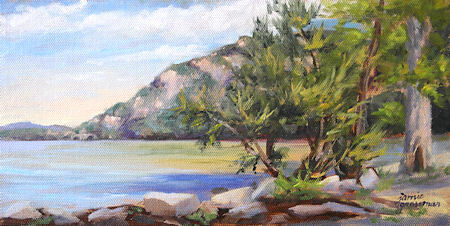 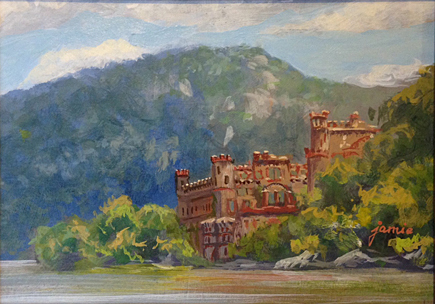 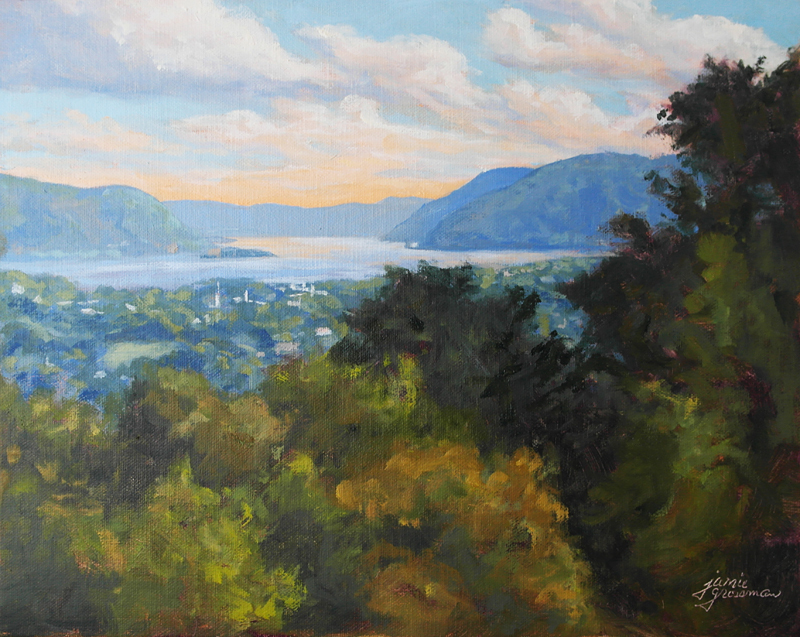 This was painted as a commission last week of a client’s favorite location overlooking the Hudson River. 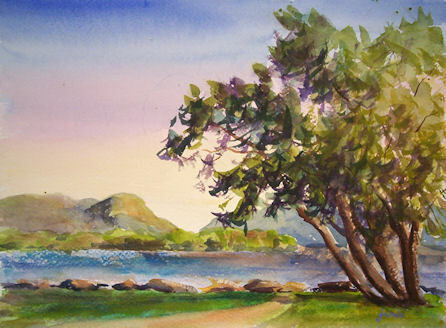 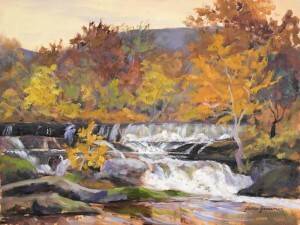 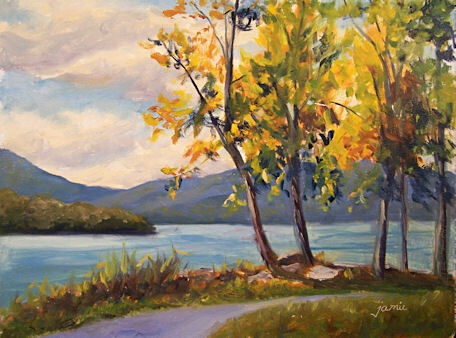 I still have a few spots left for holiday painting commissions, so if you’ve got a favorite vacation destination or would like a painting to give as a gift of a special memory, pet, or person, send me an email at JamieWG@aol.com, and I can send you my commission price list and get you into the queue for the holidays. $675.00 plus $30 shipping and insurance within the Continental United States. For local sales, shipping charge will be allocated to NYS Sales Tax. 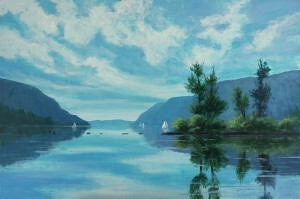 Please email me at JamieWG@aol.com for International purchases or with any questions. My husband and I were out for a walk with our cameras and ran into some friends down by the river at Madam Brett Park. 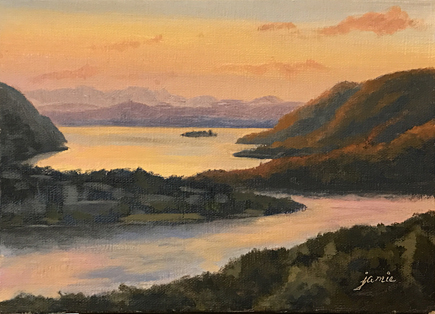 As we were talking, the sun streamed out from behind a cloud, and the distant gold lit up the horizon, silhouetting the deep blue mountains. What a sight! I was so glad I had my camera with me, and painted this from a photo. 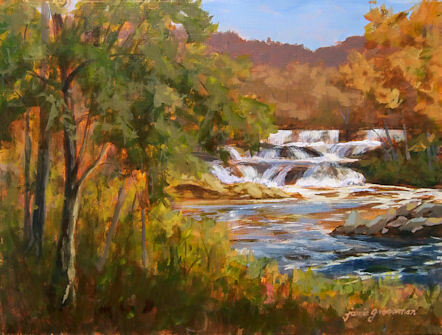 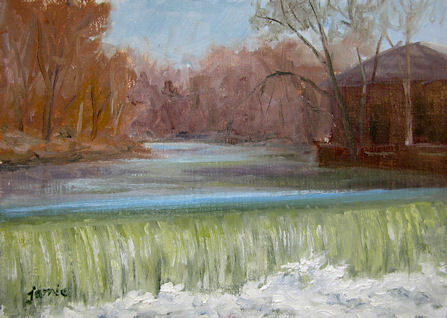 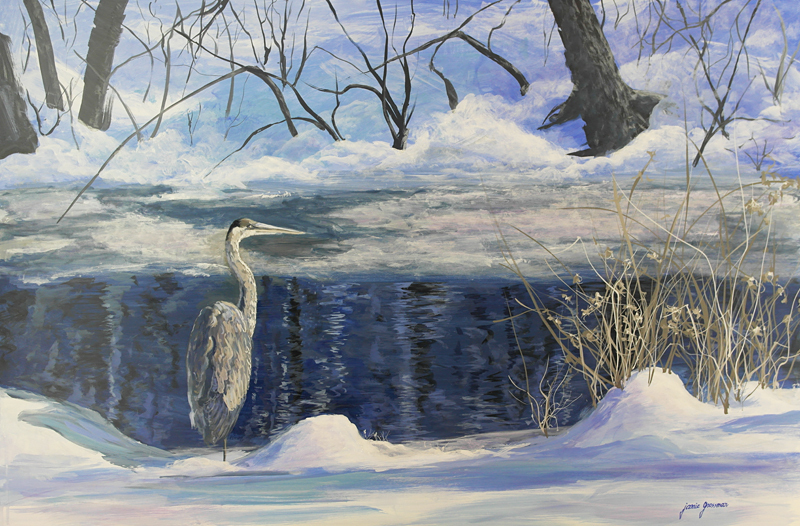 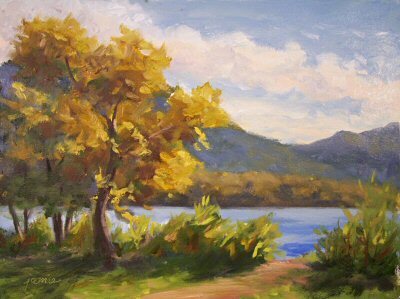 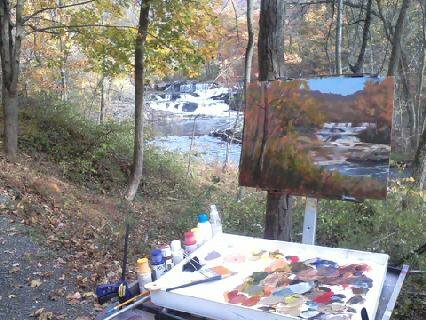 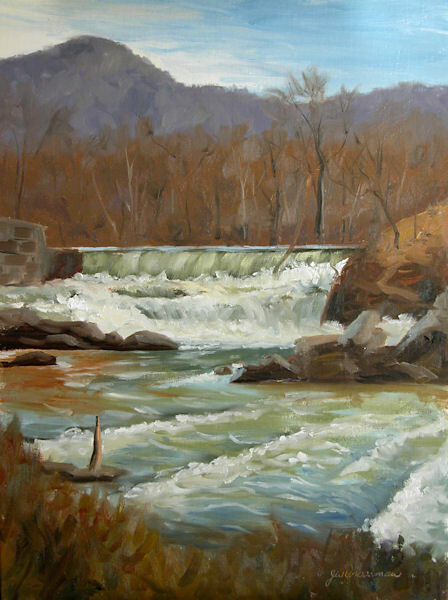 This painting was started a few weeks ago en plein air and finished up in the studio. 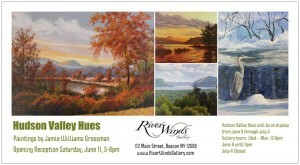 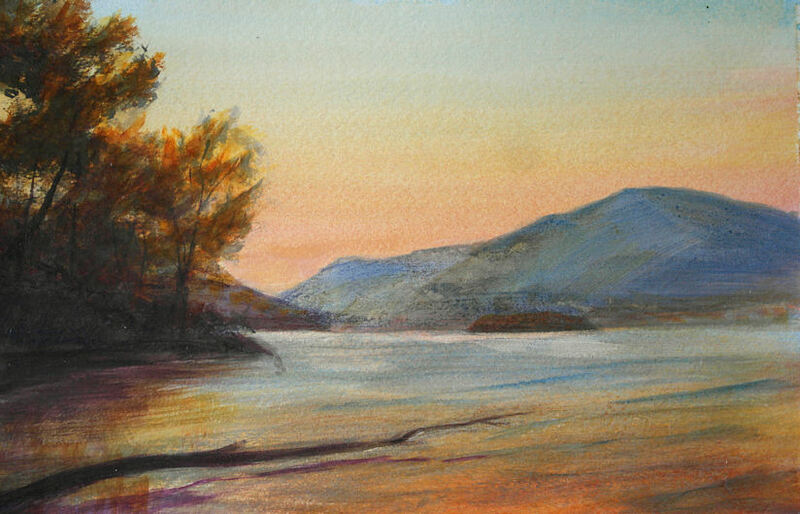 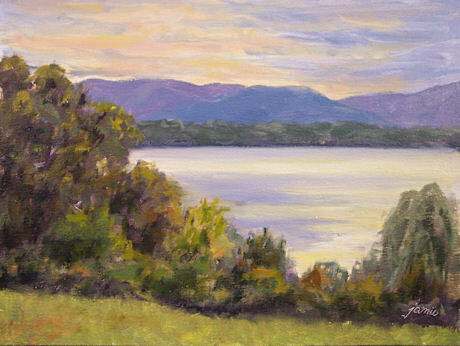 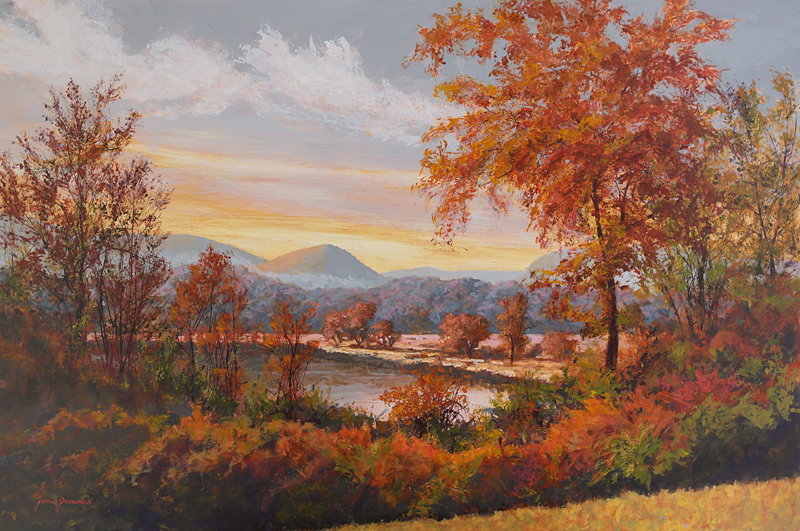 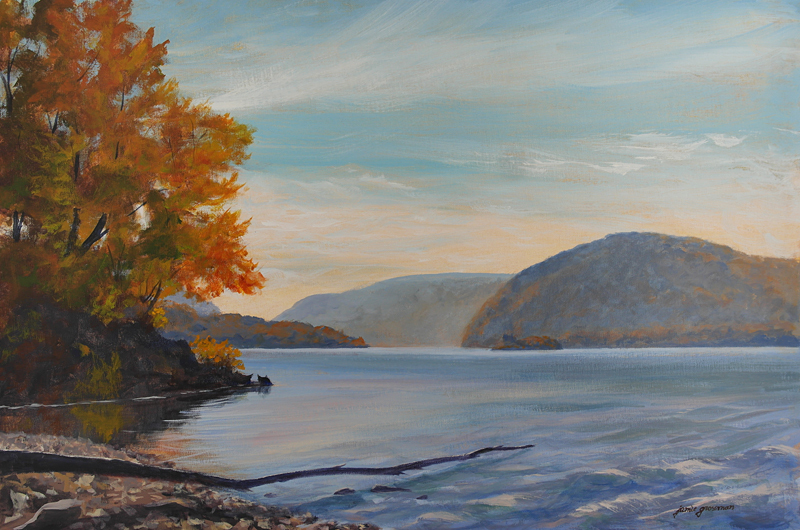 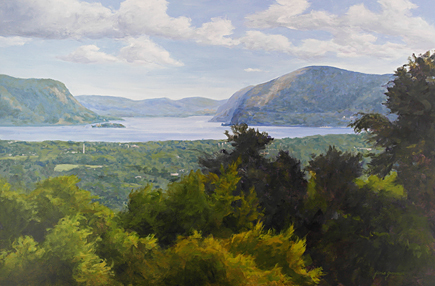 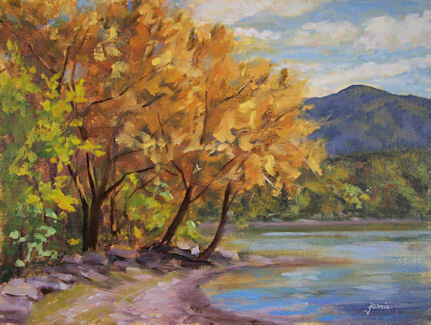 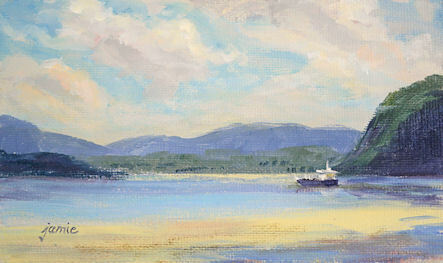 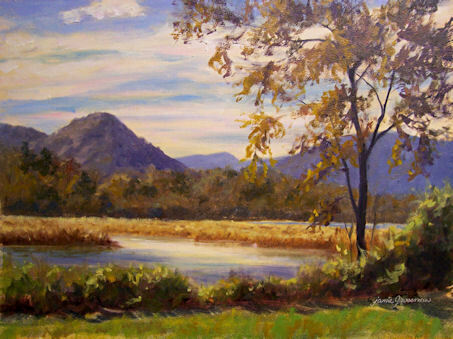 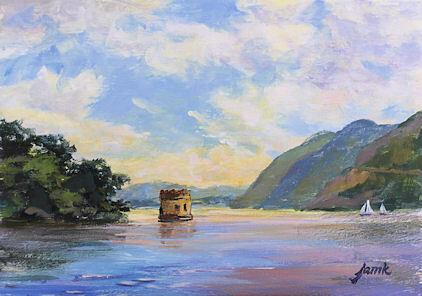 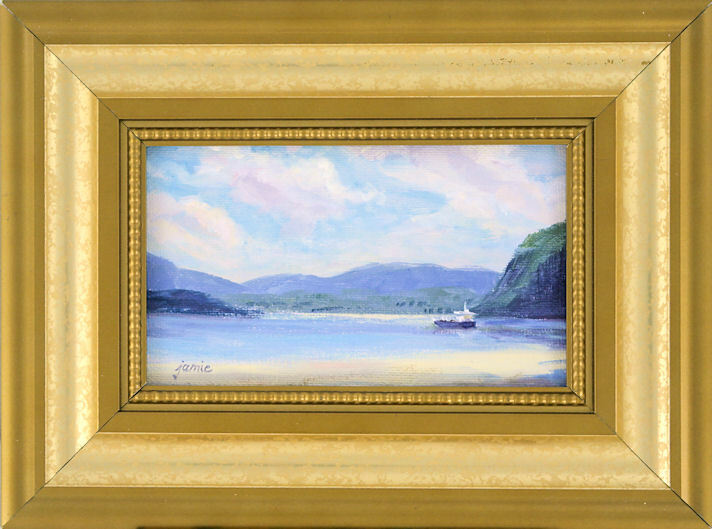 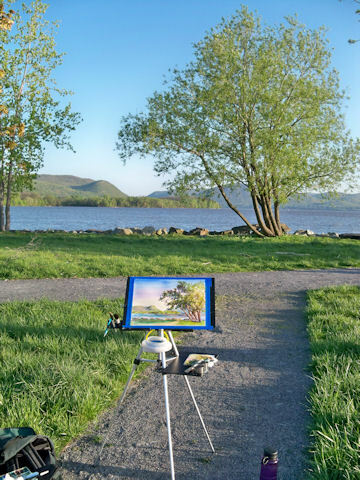 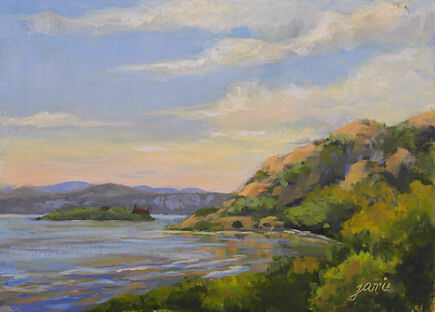 I love this view of the Hudson River and surrounding hills, painted from a peninsula along the riverfront.